Another year has flown by, and it's time for an update on what the Rubesh family has been up to for the past twelve months! Kevin continues to enjoy his job managing the computer and communications systems of the US Embassy in San Jose, Costa Rica. Erin keeps busy as a full time mom, chauffeur, entertainment coordinator, culinary specialist and Chief Operations Officer of "Rubesh Inc." Jad's almost nine, a tall (where does he get that from?) third grader who enjoys computer games, drawing, legos and his most recent hobby, horseback riding. Danna is seven and is loving second grade, hanging out with her friends, playing with her pet bunny and riding both horses and her bike. Kyler turned four, and started preschool this year. This is a good thing because he's also is rapidly becoming master of odd questions. Where better to ask them than in school?! We're thankful for a more settled year this year in Costa Rica - good health for all of us, and a great new school for the kids. 2011 begin with Erin and the kids ringing in the new year with a trip to Miami - now famous for beaches, manatees (Jad's absolute favorite marine animal), "Tayta and Jiddo" (Erin's parents) and cousin Cory (thought the last two probably won't turn up in any guidebooks!) Jad turned eight and Kevin followed suit by turning 38. No igloo building this year, but it was nice to see the sun come out after the long months of Costa Rica's rainy season. In February, we said goodbye to Kevin's grandpa Fred Miller, aged 87, and Kevin joined his family in Oregon for a celebration of his life. We'll always picture him with either a well worn Bible or a greasy rag and wrench in his hands... oh, and a cookie to go with the ice cream for dessert. Meanwhile in Costa Rica, Jad changed schools, which meant no more uniforms, and we filled out the rest of the month with curry parties, trips to the beach and a "Problem at Outpost 25." In March, Kevin visited the Nation's Capital for some training, and while there, "Murphy's Law of Absent Husbands" struck and Kyler added a "Harry Potter Scar" courtesy of a table corner at a cafe. Fortunately, the owners of what's now our favorite cafe in town rushed "Harry" and Erin to the hospital for a quick stitch-up. Kevin got back just in time to go to Boy Scout Camp with Jad. 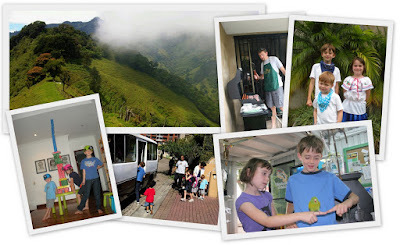 We said goodbye to our good friends and neighbors from Sweden (boo hoo), but welcomed our first friends from home for a visit to Costa Rica (yay!) Oh - and Danna made her first music video. 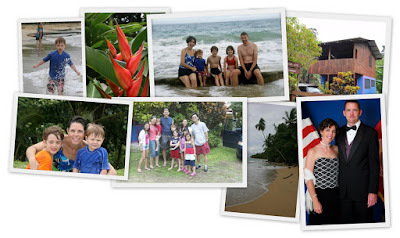 For Easter vacation, we headed to Costa Rica's Nicoya Peninsula. Five minutes from the end of our five hour drive there, one of Costa Rica's famous potholes beat one of Germany's tires. CR roads: 2, Tires: 0. 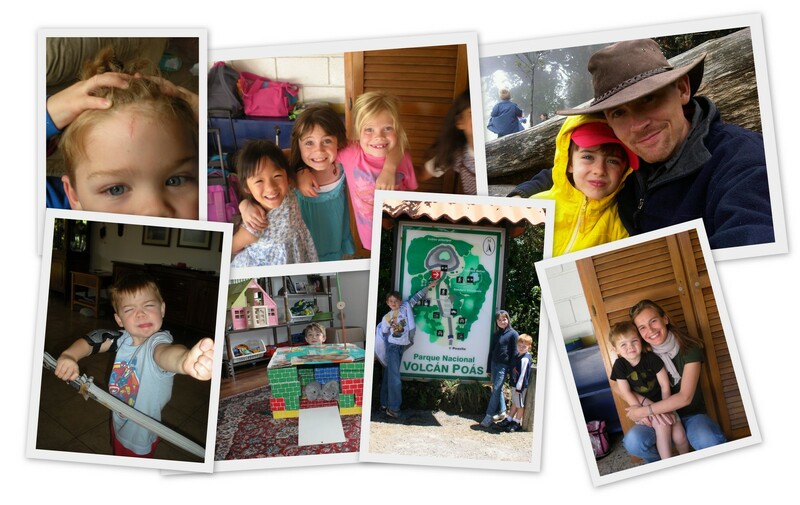 Our first trip to Volcan Irazu and movie production day at Jad's new school rounded out the month in good style. 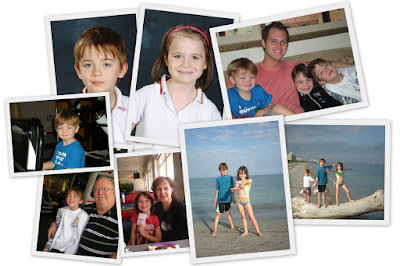 May featured Danna's seventh birthday, her first swim meet, as well as a visit from "Tayta". Jad's first ever entry in a Boy Scouts Pinewood Derby brought home the 1st place ribbon for his troop. We headed back "home" in June to furnish our new home in Portland, Oregon for the summer. 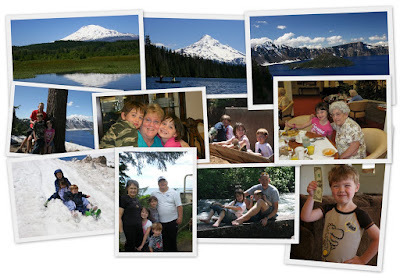 In between furnishing a house, running to swim lessons, library visits and Vacation Bible School, we did manage to squeeze in lots of time with friends, family, as well as soaking in the natural wonders of the Northwest. Danna's kidney biopsy showed that the treatment she's been on for the last 2 years is on the right track. In July, Kyler celebrated his fourth birthday, and we took in a real life fourth-of-July fireworks show. Kevin took the 2 "big kids" down to Medford to visit with "Grandma Jane" (Kevin's grandmother) and his mom before heading back to work in San Jose. 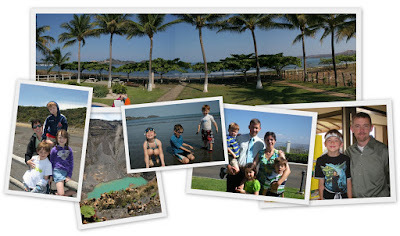 Erin and the kids enjoyed another month in Portland with Tayta and Jiddo before returning to Costa Rica. After a great summer in Oregon, we settled back into a routine in Costa Rica again. All three kids started up the school year at the same small school. With Kyler joining the ranks of "school kid", Erin found herself with 3 1/2 'kid-free' hours each morning for the first time in eight years! 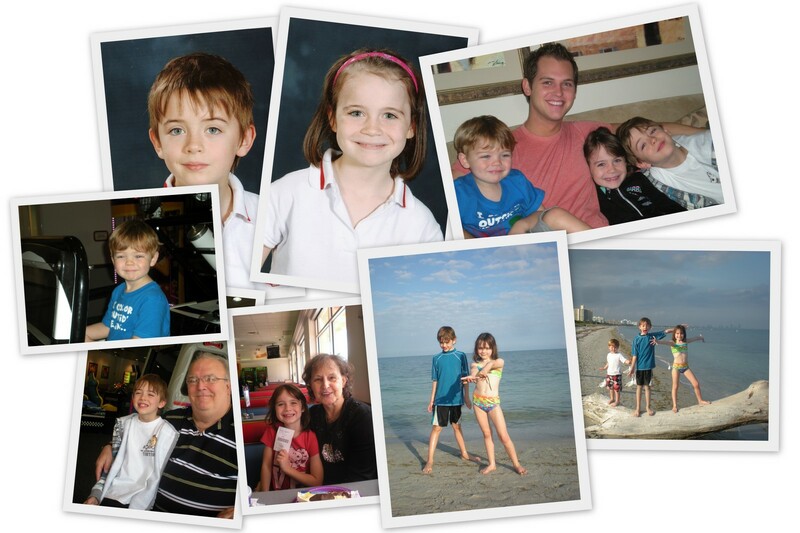 Labor day was the perfect combination of a day off from work for Kevin and a regular school day for all three kids. Great excuse for a "date day" hiking up in the hills above San Jose! 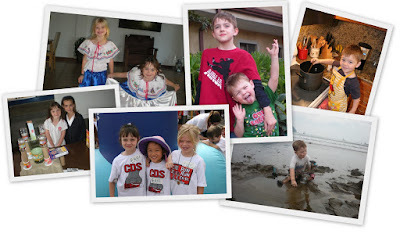 Danna started horseback riding lessons, and immediately fell in love with all things "horsey/" Costa Rica's independence day brought out a lot of red, white and blue. By October, the rainy season had started in earnest... and we discovered that a tree growing in your primary drainage pipe really doesn't mix well with heavy rain shower. Interior floods resulted... until we finally got to the "root" of the problem. The resulting dry floors were perfect for indoor camping as the rain forest did what it does best - rain. 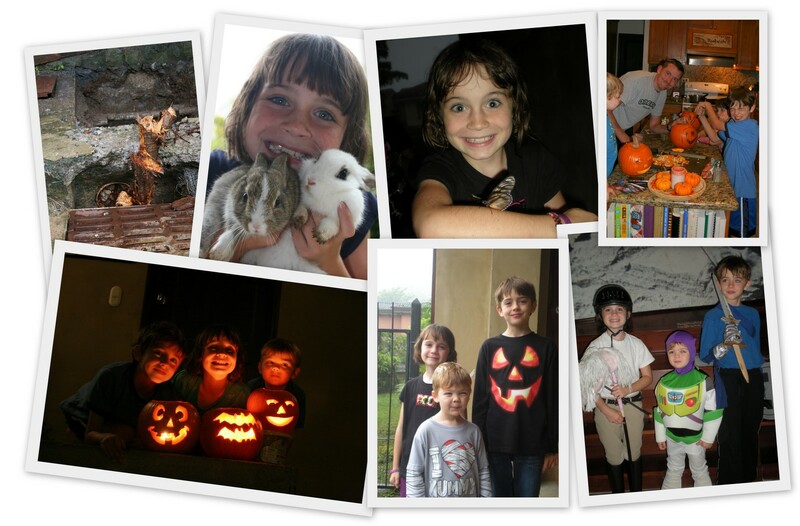 We adopted two bunnies, and of course, almost immediately made them stars of the (very) small screen. 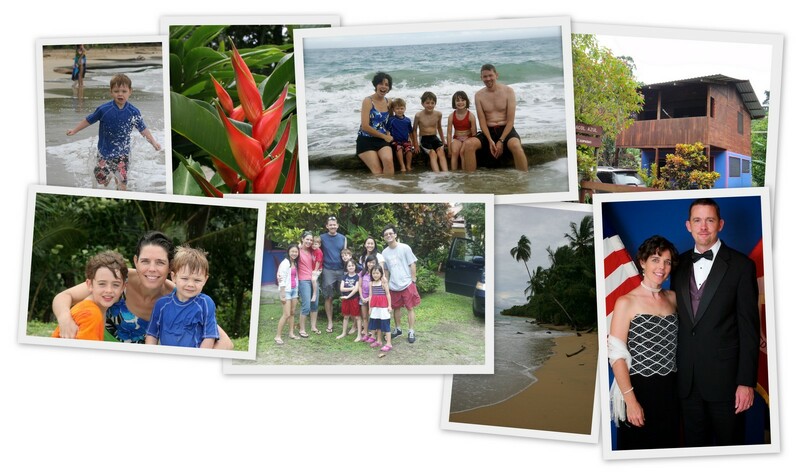 We made our first trip to Costa Rica's Carribean coast - oceans apart from the busy, touristy Pacific, and enjoyed a long weekend away with some good friends. Jad took up horse back riding as well, and Kevin and Erin got all "fancified" for the annual Marine Corps Birthday Ball. Which brings us all the way up to December - a month full of preparations for Christmas! Erin (costume designer extraordinaire) and Kevin (video greenscreen magician) both played key behind-the-scenes roles in the International Baptist Church's annual Christmas production - helping to bring "The Jesus App" to life to an audience of over 1,000! Jad and Danna played roles as a Wiseman and a Dove, respectively. Not a lot of lines, but a tremendous amount of wing-flapping and regal bearing required. 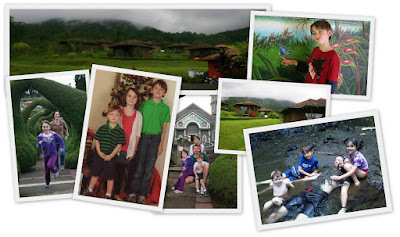 In between play practices, costume fittings and Christmas parties, we carved out time to visit Volcan Arenal's natural hot springs, and welcomed Erin's parents back to Costa Rica in time for Christmas. And that brings us up to date for now. 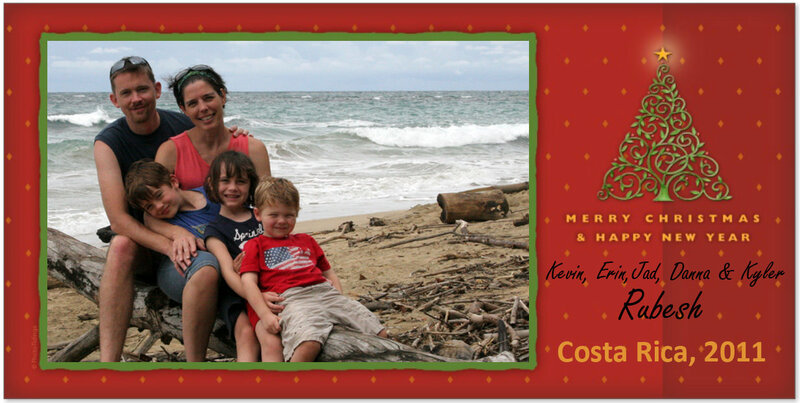 From the Rubesh family in Costa Rica to all of our friends and family around the world, a very Merry Christmas! May this be a season of joy and peace, wherever you may be! A wonderful little read-through. Love you, family, and am so thankful I got to be a tiny part of the last 12 months! Wow a lovely journey through life full of adventures and unforgetble moments , all my love is sent to you keep enjoying life guys. It sounds like you have had a great year. Costa Rica is a beautiful country, even though the rain can get all Forrest Gump - sideways rain, big ole fat rain.... Merry Christmas and all the best for 2012!